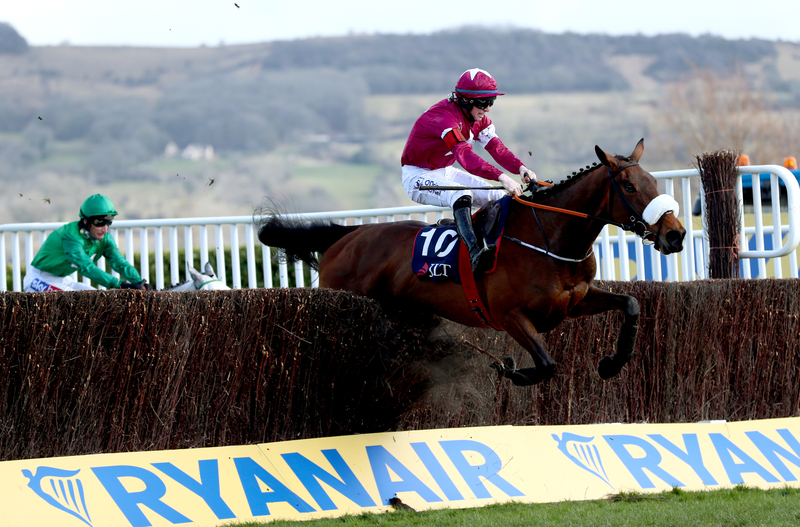 Gordon Elliott will train Shattered Love as a Cheltenham Gold Cup contender this season despite her defeat at Down Royal on Saturday. The seven-year-old was a dual Grade One winner as a novice over fences last season, including an impressive display in the JLT Novices’ Chase at the Cheltenham Festival in March. She made her seasonal reappearance in a Grade Two contest last weekend and finished second to Snow Falcon over a trip short of her best. “Shattered Love ran well, she just blew up and ran on again to the line,” said Elliott. “I don’t know where she’ll go next but she’s a proper mare, she’ll have come on no end for the race. “I’m looking forward to getting her back out but she’ll have to be competing in all those Grade Ones now, it’s hard to place her. Malone Road created a big impression in a bumper at Down Royal, carrying the famous colours of Cheveley Park Stud. “He’s been showing us all the right signs, he had to do the donkey work, which wasn’t ideal, but Jamie was very happy with him,” Elliott told At The Races.